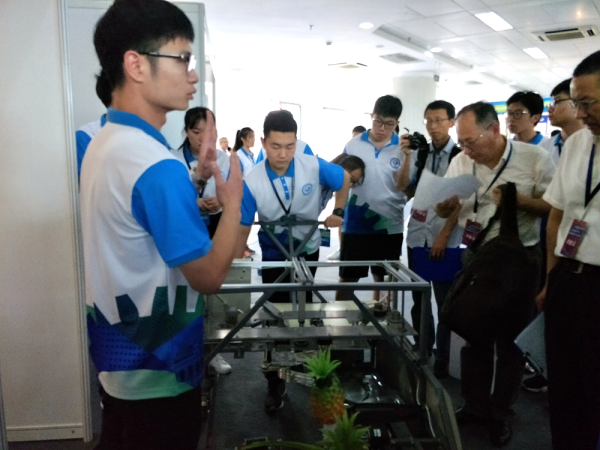 [News from the News Center] From July 23rd to 24th, the final of “Hangzhou Future Sci-Tech City Cup” the 8th National Undergraduate Mechanical Innovational Design Competition (UMIC) was held at Zhejiang University of Technology. 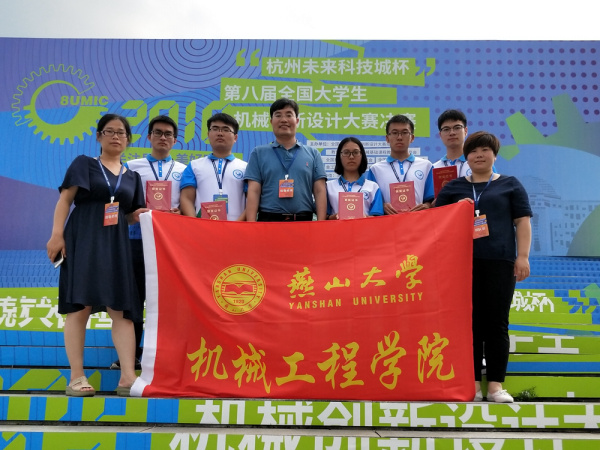 After two-day competition, YSU won two first prizes, one second prize and was awarded national excellent organization prize as the organization committee office of Hebei division. The parking equipment designed by Sun Meng, Geng Binbin, Zhu Jiaqi, Liang Xu, and Huang Licheng and guided by Guo Rui and Lv Shijun, and the continuous auxiliary pineapple picking machine designed by Xu Mengkai, Xian Xianzhao, Xu Zongguo, Li Rui and Ren Zeming and guided by Yao Jianhua and Tang Yanhua won the national first prize; and the new no-avoidance foldable parking device designed by Feng Liwen, Tan Fuxiao, Peng Jing, Ding Chaowei and Zhou Fan and guided by Zhang Liandong won the national second prize. Besides, the parking equipment was recommended to the list of China Good Design, and they signed letter of intent with Jiangsu Jinguan Parking Industry to carry out transformation of achievement and further cooperation. Since the preparation in March last year, the Innovation Base of the School of Mechanical Engineering organized carefully, after more than one and a half years, and 14 projects out of 50 entries were selected after the preliminary screening, expert review, work optimization, physical production to participate in the Hebei UMIC, and YSU became the university that had the most projects in the final in Hebei Province with three works recommended to the national final. During the preparations, the leaders of the School of Mechanical Engineering paid much attention to their condition, and the Innovation Base developed the quality improvement plan for the national competition and organized a number of experienced teachers to conduct on-site guidance, effectively improving the overall quality of the students’ projects. At the final competition, under the guidance of the team teachers, they achieved good results with clear division of work, earnest attitude and constant improvement. This competition fully demonstrates the excellent comprehensive quality and innovative ability of YSU students, and also reflects the teaching level of YSU in cultivating students’ all-round quality and ability. Held biennially, the National UMIC is one of the most influential competitions for undergraduate students. Themed by “better livelihood, better homeland”, the contents of the 8th UMIC include small parking equipment in the urban community and the design and production and auxiliary manual picking machine for10 kinds of fruit including apples, oranges, and strawberries. Some well-known experts and leaders were invited such as Pan Yunhe, Li Peigen, and Deng Zongquan, academicians from Chinese Academy of Engineering. 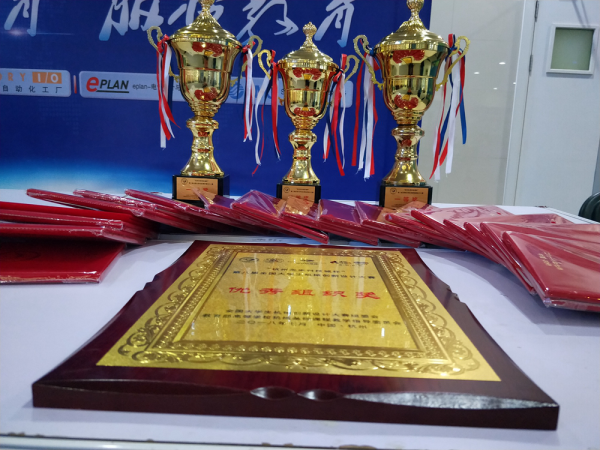 The competition received a total of 5276 from 703 universities and colleges works in 28 provinces, autonomous regions and municipalities with more than 20,000 students direct participating in the provincial competition and100,000 students participating in school-level activities. After several reviews, 181 projects from 113 universities and colleges were shortlisted for the final. 48 experts of the competition jury gave marks according to the scoring criteria by reviewing the material, observing the physical demonstration and conducting the defense of the work. The aim of the competition is to cultivate students’ creative design consciousness, comprehensive design ability and teamwork spirit in teaching; to strengthen the training of students’ practical ability and engineering practice, improve students’ ability to innovate, design and produce according to actual demand; to promote the transfer and transformation of mechanical design achievements; and to attract and encourage students to participate in extracurricular science and technology activities in order to train outstanding talents.